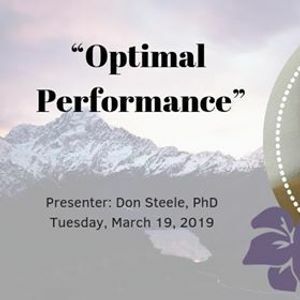 Donald J Steele, Ph.D., will speak on how you can achieve optimal performance in life and business while leading organizations and teams that engage in efforts to deliver on the expectation of optimal performance. 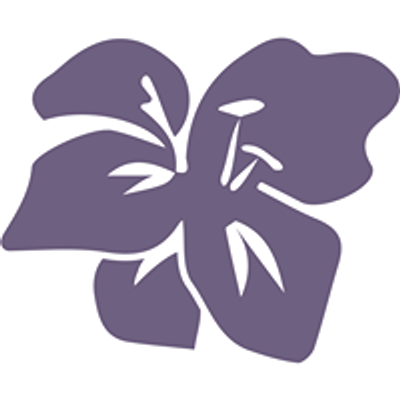 Dr. Don will use humor and metaphor to engage the audience. 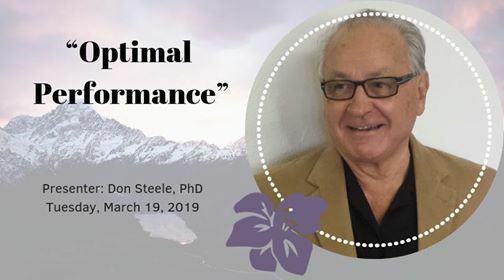 Don founded Performance Learning, Inc. in 1985, a business dedicated to educating, motivating and empowering athletes, entertainers, leaders and teams across the spectrum of business, industry and education. He also has served as an adjunct professor and speaker at several universities including, but not limited to Harvard University, The Ohio State University, Central Michigan University and Saginaw Valley State University. He earned his Bachelor of Science and Master of Arts Degrees from Central Michigan University, and Doctor of Philosophy Degree from The Ohio State University. Early in his career his passion for teaching, coaching and writing lead him to a career as a teacher and within nine years he was selected by The Saginaw Board of Education to serve as the Superintendent of Schools. Don has also served as Superintendent of Schools for the Toledo Public Schools and Seattle Public School District. Currently, he serves as Special Assistant to the President for Professional Development at Saginaw Valley State University and teaches classes on Family Business and Entrepreneurship. In addition to his long list of accomplishments, Don has authored seven books, the most recent being “Undefeated: The true story of the successful three generation, family owned and operated, Shepler’s Mackinac Island Ferry Service”. He is also a professional entertainer (singer and guitarist) and was fortunate to work with some of Nashville's greatest producers, song-writers and musicians.